Aerotact Pty Ltd (ABN 67 360 545 042) is the supplier for the range of products and services listed on our wed site. You can contact us in writing or by phoning our Customer Service centre. We collect information about you through our product purchase process, through news letter registration, or through request for sales or support actions and through various other forms. Aerotact Pty Ltd may disclose your personal information in certain circumstances. Generally, we do not disclose your personal information to any third party, unless that party is contracted to Aerotact Pty Ltd to provide administrative services or activities on our behalf and that party is bound by the same privacy rules we follow. Sometimes, if there is a dispute about a service we may disclose personal information about you to other experts such as legal advisers. You may request access to any of the personal information we hold about you. A summary of personal information such as your name and address details, contact telephone numbers, is available to you by calling us on 61 7 3623 4422. Aerotact Pty Ltd may retain your personal information for a period of time after you have ceased your relationship with us. When we believe it is no longer necessary to hold your personal information in our archiving system we attend to the secure destruction or deletion of your personal information. Only authorised staff who are employed have access to your personal details. The administration systems used to manage your account information incorporates the use of secure hardware and software products which protect against unauthorised access. 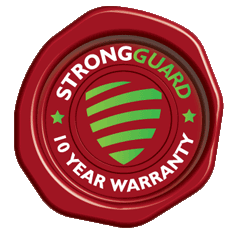 The Strong Guard Website provides a number of services to you. If you are not satisfied with the result of your complaint to us, you can refer your complaint to the Federal Privacy Commissioner.